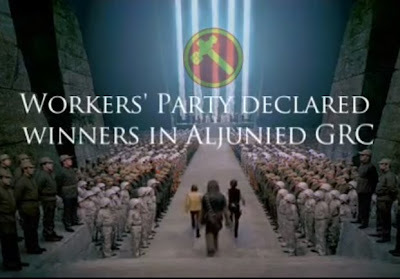 We have earlier brought you the gut-bustingly awesome Star Wars/Singapore General Election 2011 mash-up videos. Now feel the final display of the force in this concluding chapter of the well-made parody trilogy. As surreal as it is that these words are actually coming out of my mouth, I do find it a slight pity that Jar Jar Binks/TIN PEI LING didn't get to appear in this final chapter.